It had been over 30 years since the last new book about the Sunfish was published, and there has never been a book about Sunfish repair. Kent Lewis has ended that drought with his new book "The Sunfish Owner's Manual". Kent is known to his followers on FaceBook as "Sunfish Sailboat Restoration", where he has a large page chronicling his adventures salvaging old Sunfish from the scrap heap. 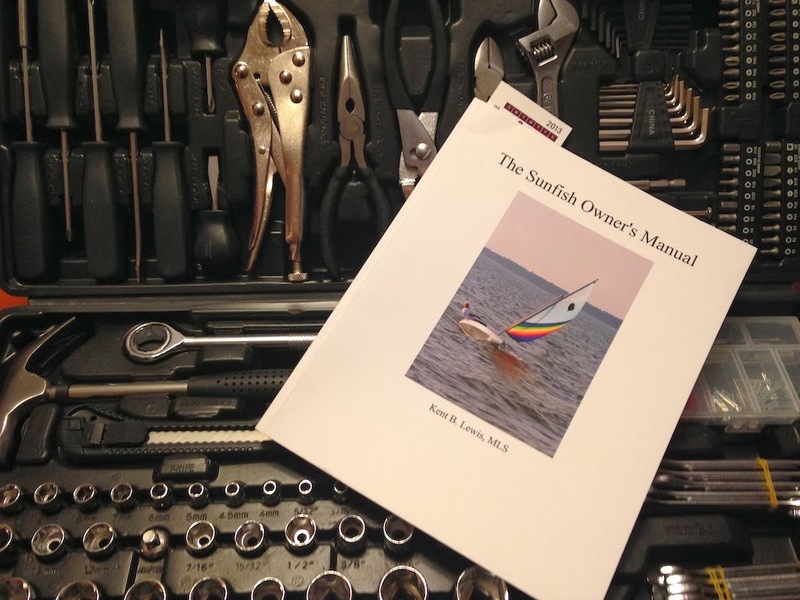 He has condensed his years of experience into an easy to read 135 page manual that covers just about every major Sunfish repair, from fixing bent spars to sawing the deck off to replace waterlogged foam blocks. He has made all the mistakes so that we don't have to. He includes color photos illustrating each technique, and lists not only how to instructions, he details the pitfalls that he encountered himself along the way, with methods for avoiding them. Some of the boats that he's rescued were in such bad shape that most people would have put them on the curb. He's brought them all back to life and active sailing, and the results that I've seen look great. Bear in mind that if you are a racer, some of his repair techniques, like replacing foam blocks, aren't class legal, but if you are sailing in just club races, or if you are sailing recreationally, his instructions can rescue a boat that might otherwise be destined for a trip to the dump.